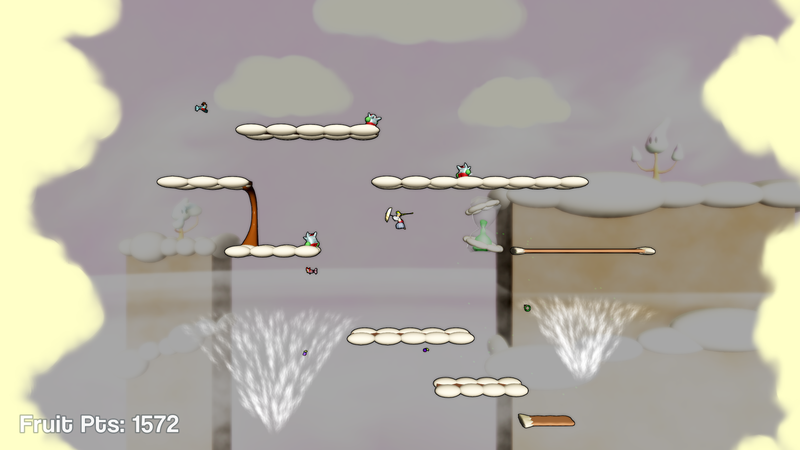 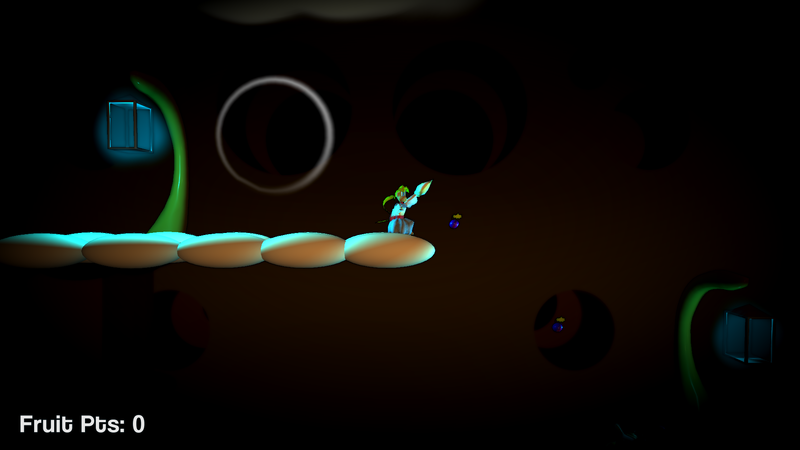 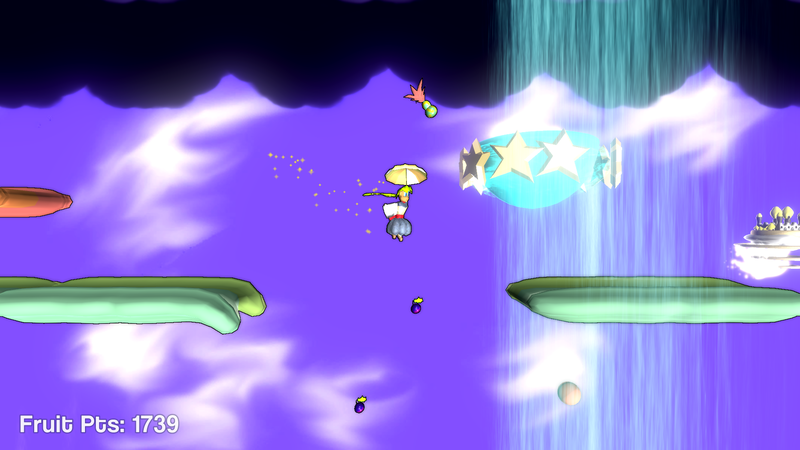 Cherry in the Sky is a 2.5D umbrella-flying platforming game about a girl who's sister is stolen by a jealous princess. 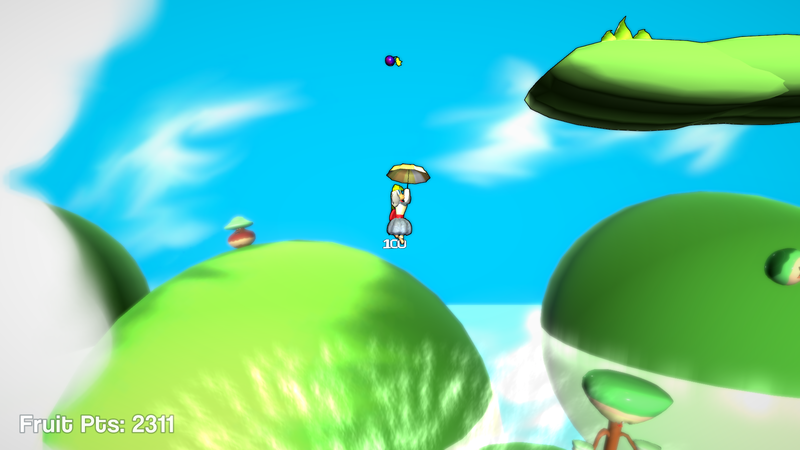 You chase her flying castle to get your sister back while mastering the game's unique umbrella flight controls and physics. 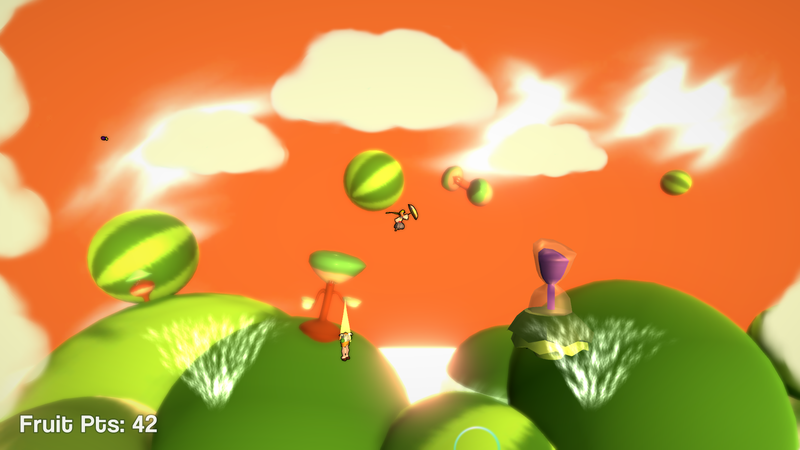 It plays like no other game, and unravels to reveal more depth beyond its approachable veneer for completionists. 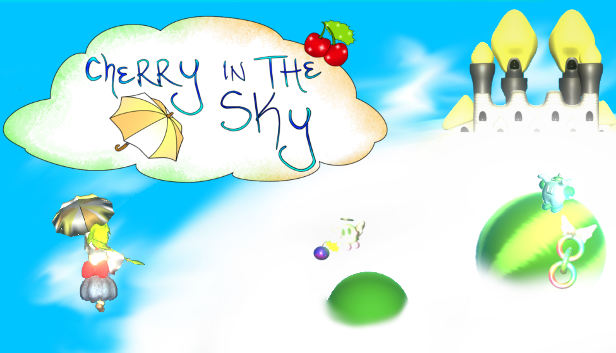 Cherry in the Sky contains the first line of original code ever written by the (mostly one-man studio) The Airship Abstraction. 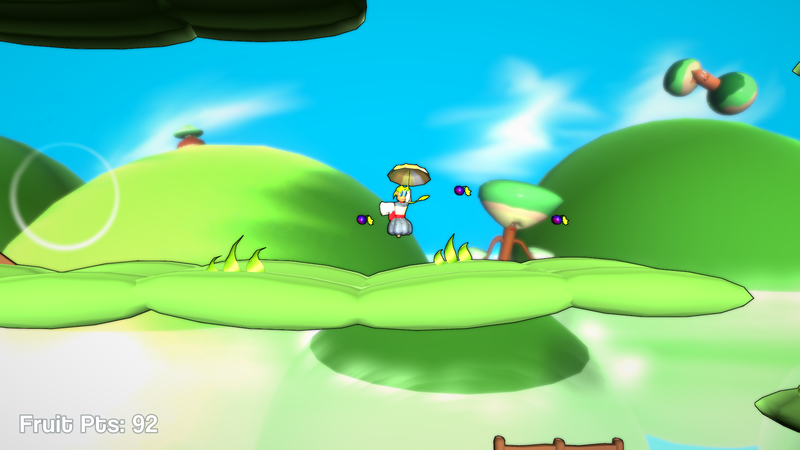 What was originally a small experimental learning project blossomed into far more than expected without ever changing the core mechanics. 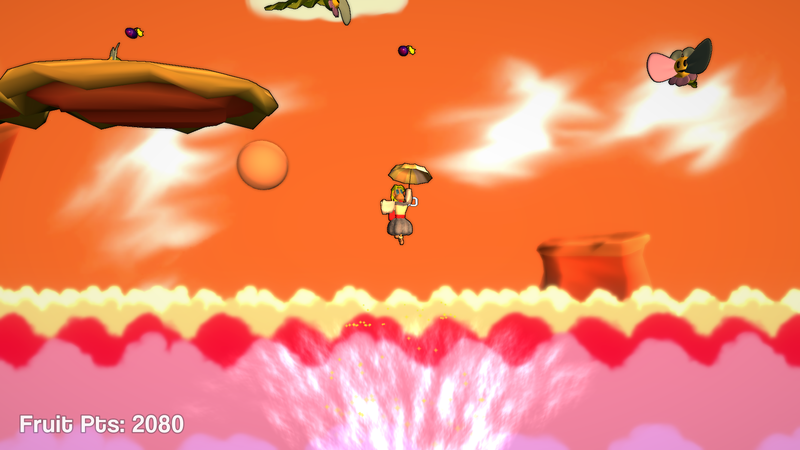 There just simply turned out to be far more depth to the umbrella flight+wind+platforming than there first appeared. 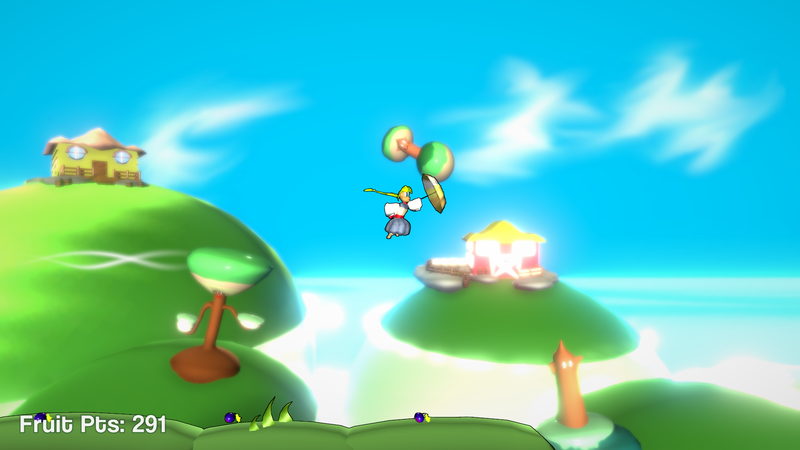 It also, surprisingly, turned out the game emerged from a very deep, very heartfelt place as it took shape, even drawing literal inspiration from artwork the main developer, Joshua, created as early as 7 years old. 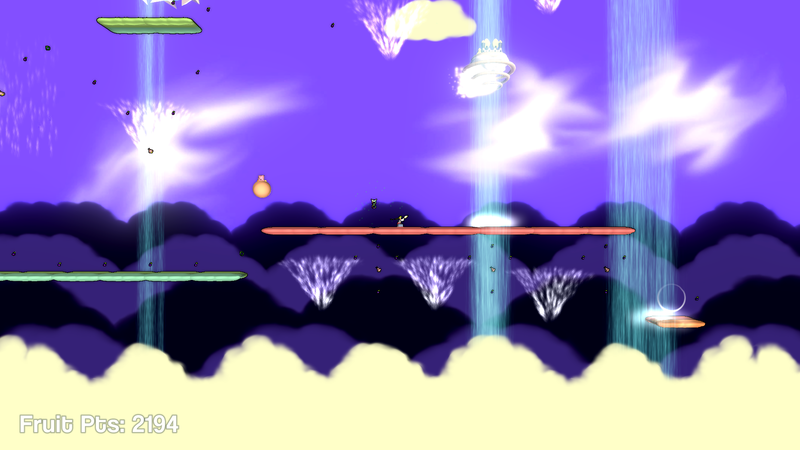 Over 100 levels to explore through a giant, interconnected, metroidvania-esque world. 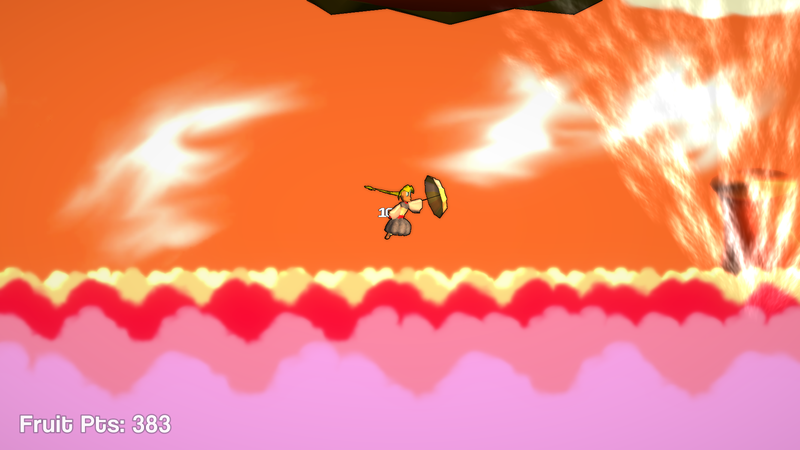 Ultra unique gameplay controls that make it more of a flying game than a platforming game. 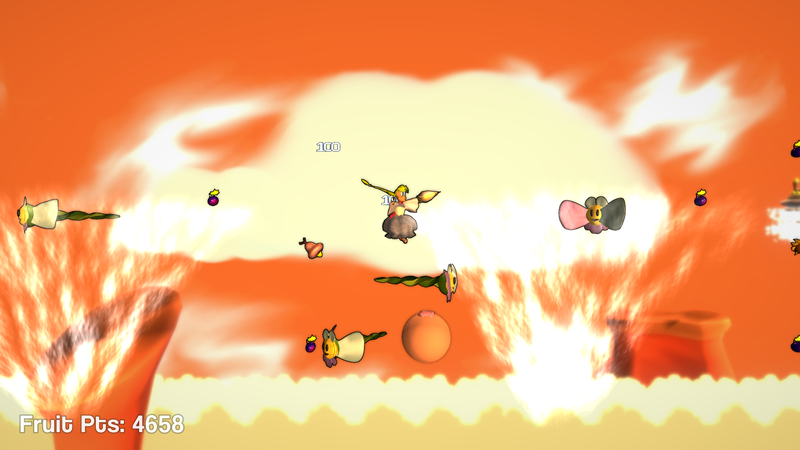 Comical but responsive enemy AI that reacts more surprisingly than your typical platforming baddies. 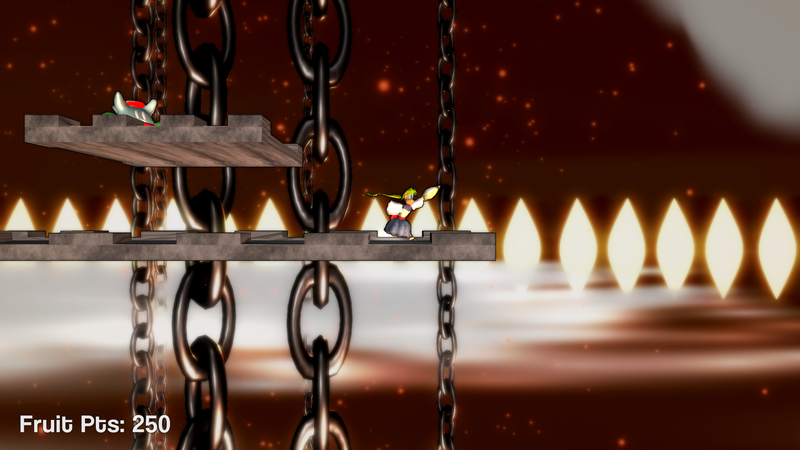 27 areas specifically created to be replayed in the Arcade Mode score attack once found in the Adventure Mode. 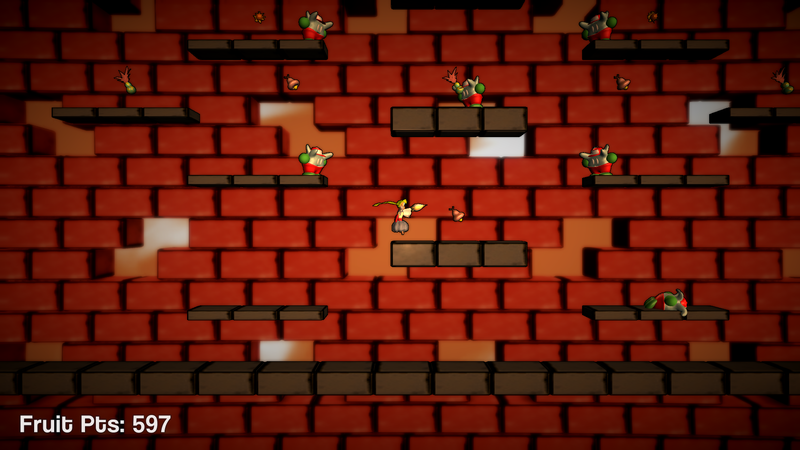 Over 150 Cherries in the Sky to be uncovered by completionists, through collecting, exploration, and puzzle solving. 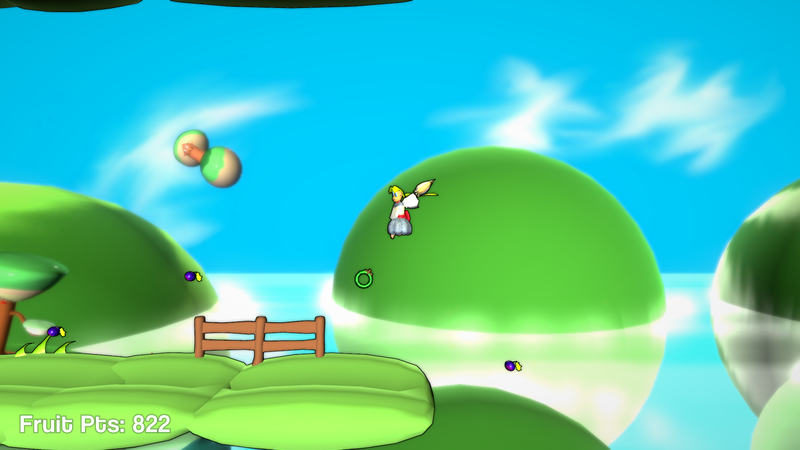 Relaxing but engaging gameplay in a game built from the heart. 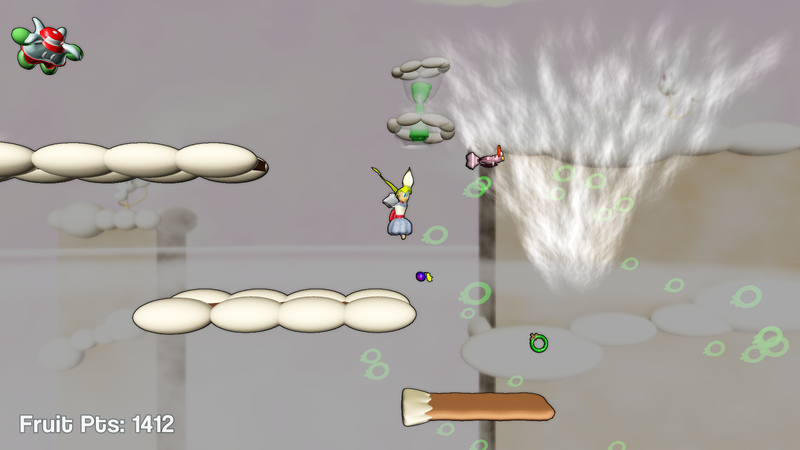 The Airship Abstraction is a tiny independent game development studio with an emphasis on unique games and characters to give wings to the world. 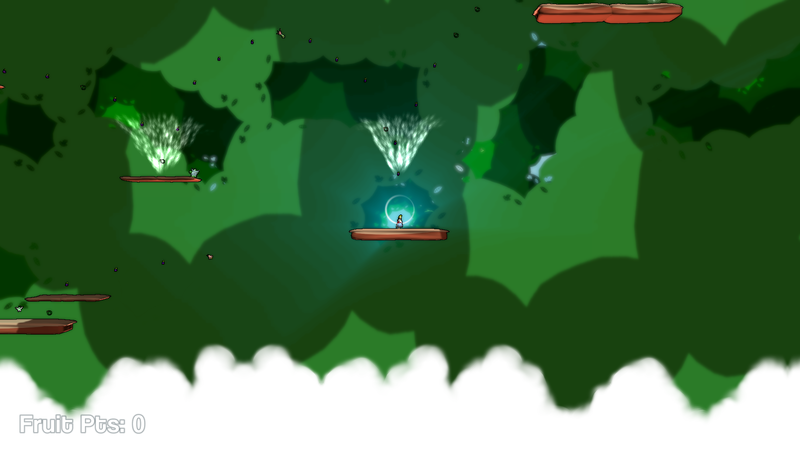 The Airship Abstraction's main page is available here.